These are highlights from my second report covering six presentations from the Ninth Annual Western Atrial Fibrillation Symposium held February 26-27, 2016 in Park City, UT. Read my First Report with 9 brief summaries. 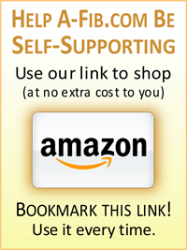 Contact Force sensing catheters. 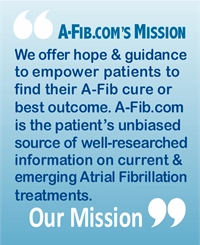 From the perspective of an A-Fib patient, the most exciting news was about developments to improve Contact Force sensing catheters. (They are already a huge improvement in RF catheter ablation). In addition to providing theelectrophysiologist (EP) with force and contact info, the new catheters will integrate duration, power, catheter stability and temperature to improve ablation quality. The Laser Fiber Optic Balloon catheter seems also to have great potential. But we just don’t know if it will ever be approved for use in the U.S. 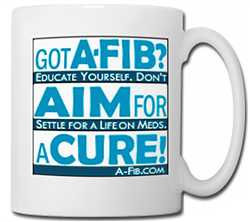 Successful A-Fib ablation=little stroke risk. Dr. Callans’s data showed that patients with a successful A-Fib ablation had very little stroke risk. Whereas, of those still taking anticoagulants after a successful ablation, 2% had an hemorrhagic stroke. Putting patients on anticoagulants after a successful catheter ablation is both ineffective and dangerous. 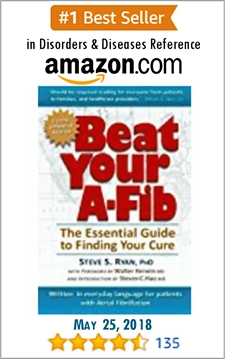 Continuous monitoring for A-Fib in all over 65? Dr. Mittal (and many at the Western Symposium presenters), expressed the increasing awareness that people over 65 need better monitoring than just an annual office ECG. 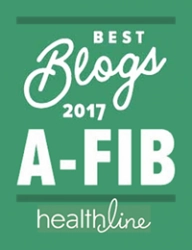 The goal should be for everyone over 65 to have a practical form of continuous monitoring to detect A-Fib before it becomes a problem (i.e. causes a stroke). This is a major public health issue. NOACs and Catheter Ablation. If you are on the NOACs Xarelto and Eliquis, Dr. Natale’s data is encouraging news. When having a catheter ablation, you don’t have to switch back to warfarin beforehand. These are just the highlights. 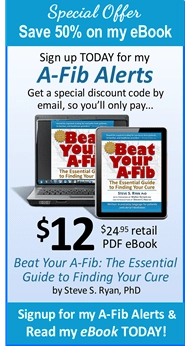 To read my entire second report, go to Report 2: 2016 Western Atrial Fibrillation Symposium. Look for my third report in the series in the coming weeks.